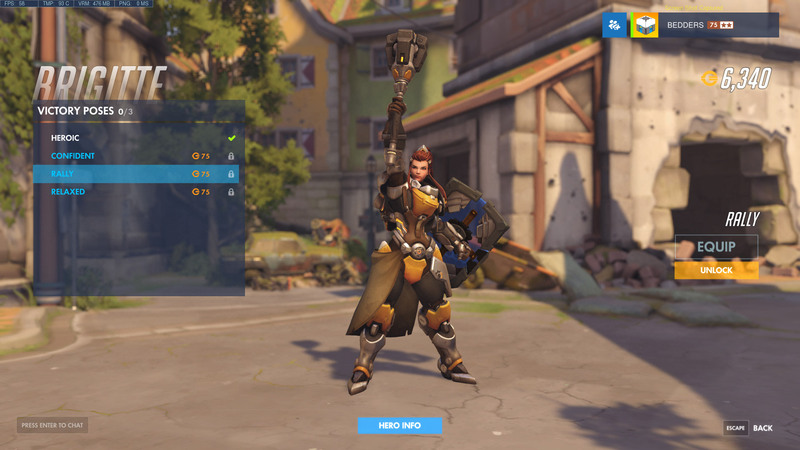 In this Overwatch article you'll find Brigitte's skins (including Legendary), highlight intros, victory poses, voice lines and emotes. A new build was released onto the Overwatch PTR yesterday evening, and with it we've had our first glimpse at all of the various cosmetic unlocks that are going to be available at launch for the game's 27th hero, Brigitte. There will be ten skins in total, with nine to unlock through opening Loot Boxes or using the game's currency system. 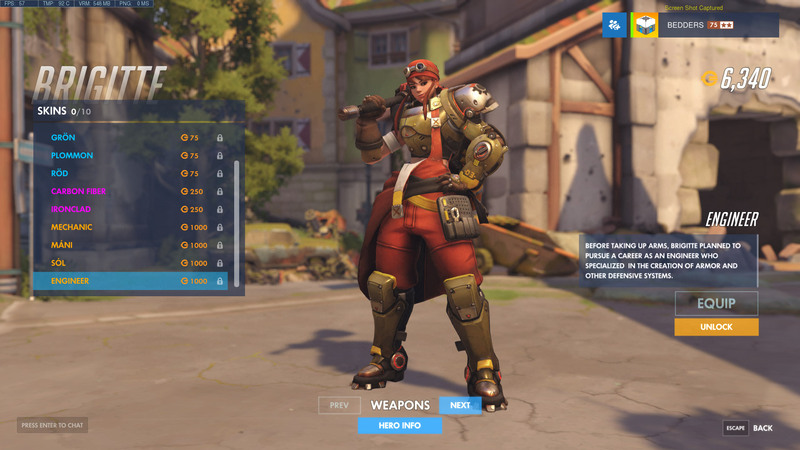 Of those nine unlocks there are four Legendary skins to grab for the character: Mechanic, Mani, Sol and Engineer. Make sure you check out our massive Brigitte guide for the lowdown on her abilities, with loads of tips and tricks for playing her as well! @IamDonna Hi Donna! You will be able to purchase her skins once she moves from the PTR to the live servers. 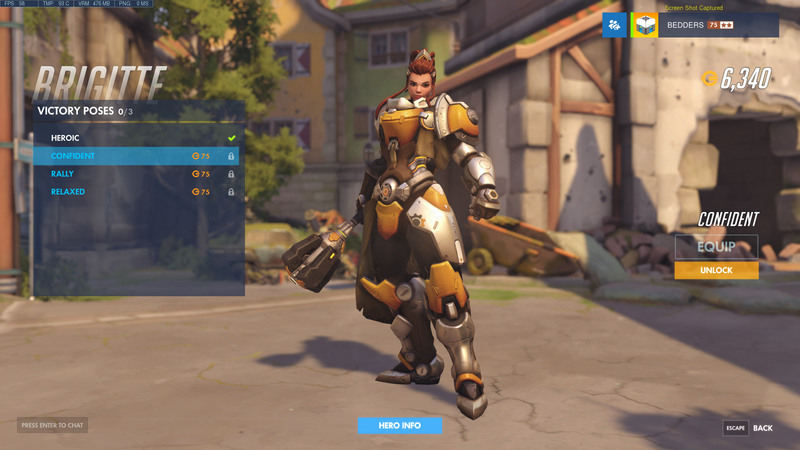 You don't have to buy them now, or anything like that. Hope this helps, Ed. Woahh!!! Just Loved playing with Brigitte and skins also looks great on her. But, here is one question? How can i get these skins? Like since, she is PRT so, do i have to buy them?